October 24, 2018 - HCAP Partners Principal, Hope Mago, was a panelist at SOCAP18, participating in an Impact Investing panel titled “Failing Forward” alongside other impact investing funds. 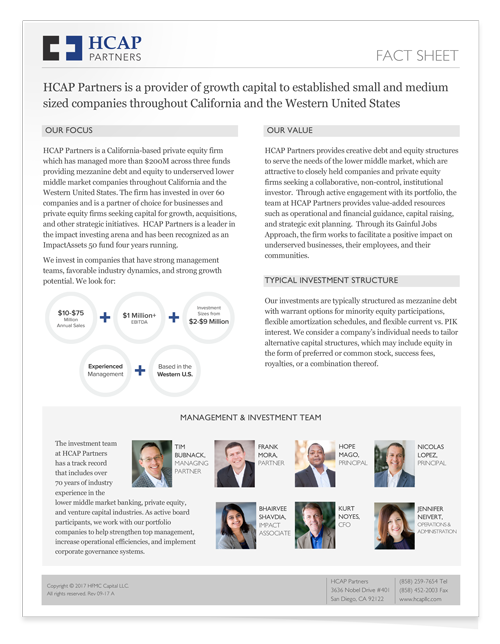 Download the HCAP Partners Fact Sheet. Aug 4, 2016: HCAP Partners' update on portfolio company, Summit Estates. April, 25, 2016: HCAP Partners has published its 2015 annual impact report. May 5, 2015: The 2015 edition of the GIIN and J.P. Morgan annual impact investor survey is now available. 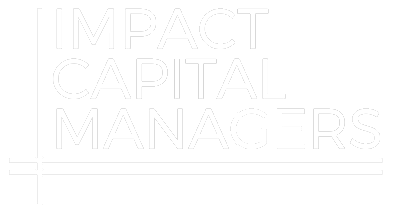 Huntington Capital participated in this fifth edition of the survey report which captures the views and activities of 146 impact investors managing a total of USD 60 billion in impact assets. The report, “Eyes on the Horizon”, has been published and is now available on the GIIN’s website. January 2015: Huntington has published a new case study featuring portfolio company, RPI, and their Inspired Culture Initiative. January 2015: The 2014 Report in US Sustainable, Responsible and Impact Investing Trends was developed to identify major trends in responsible investing, and includes chapters on ESG integration by institutional investors and money managers, as well as shareholder advocacy. Huntington Capital was one of the participants in the report. Published in December 2013, From Ideas to Practice, Pilots to Strategy, presents a collection of short, action-oriented and insightful thought pieces on how to put impact investing to work.